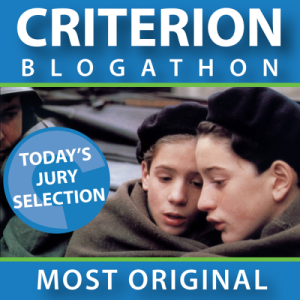 The last official day of the Blogathon. Thanks to all who participated! 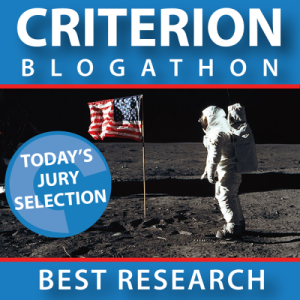 Today was the last day of the Criterion Blogathon, a blogging event that celebrates some of the best films in the world. Films covered include Hollywood classics, art house flicks, foreign films and cult classics. The essays presented over the past six days are inspiring, amusing, challenging and thought-provoking. 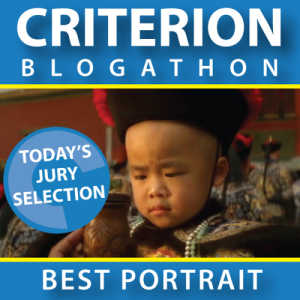 The blogathon is dedicated to Criterion, but it’s also an expression of love for the art of filmmaking in all its forms. On behalf of Aaron at Criterion Blues, Kristina at Speakeasy and yours truly, thank you for supporting this incredible blogging experience. Wait – there’s more! On Sunday, November 22, tune into a special episode of Criterion Close-Up, hosted by Aaron and Mark, with guests Kristina of Speakeasy and yours truly. 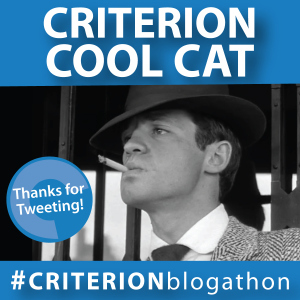 We’ll be discussing the Criterion Blogathon and debating our favorites. It promises to be a lively discussion! Below are the final set of posts. But first! We want to hand out some awards. Another great day. 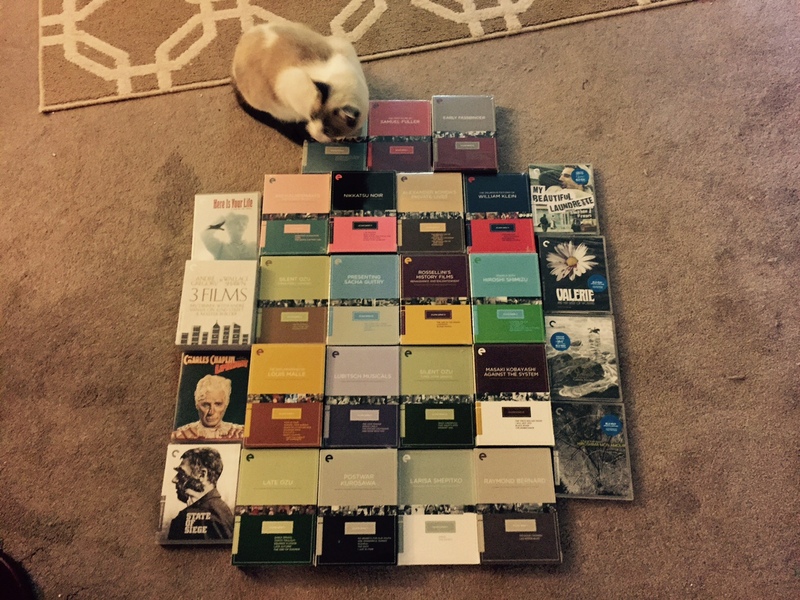 We have modern English language films and then the big essays and box sets remaining. Day 3 is in the books. Great reading today all around! 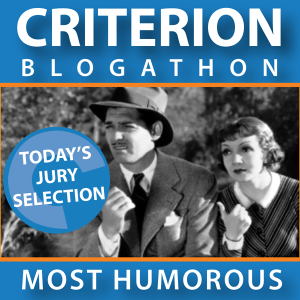 It’s already Day 3 of the #CriterionBlogathon! This is an incredible blogging event, due to the knowledge about – and insightful analysis of – a variety of film subjects. You want to read some of the smartest writing on film? You’ve come to the right blogathon. Today we’re focusing on English-language films from 1947-1980. You’ll be impressed by the collection of essays below – we guarantee it. Phenomenal first day. Both the quality of writing and social media interaction exceeded our expectations. So many worth blogs of awards, but so few to give out. 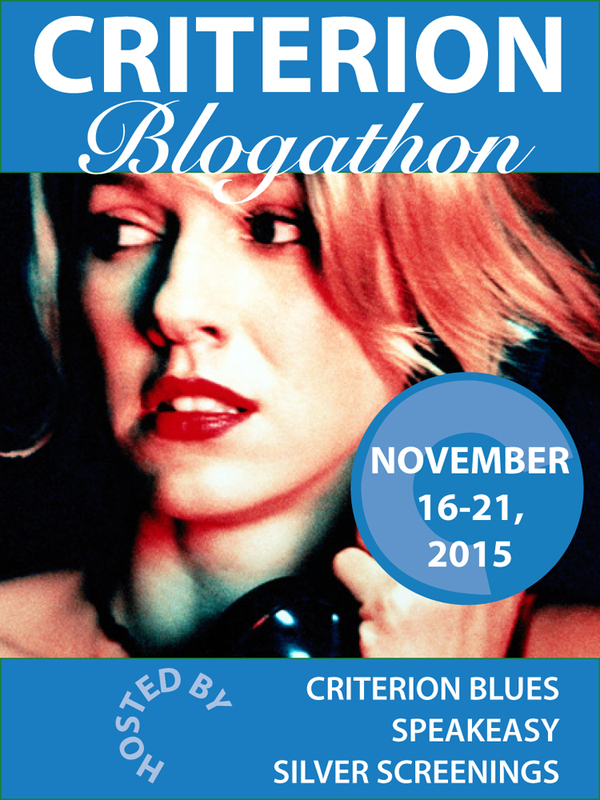 Kristina has published the full schedule for the #CriterionBlogathon. What a lineup! Why have one podcast when you can have two? 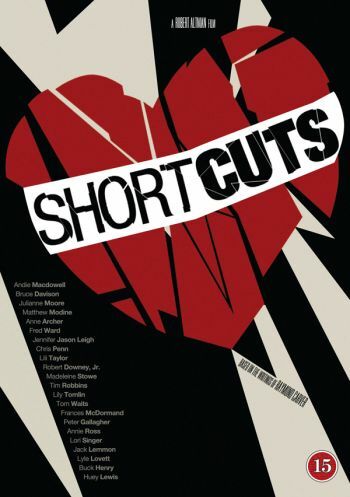 We are announcing a second cast, Criterion Short Cuts. Okay, in reality it is still the same cast and will be on the same feed as Criterion Close-Up, which you can subscribe to at the links below. We will have a different numbering system, and these will be Short Cuts, literally. We will still watch the films, take notes, flesh out the themes and deconstruct the content, while also evaluating it as a piece of art and a Criterion release. The only difference with Short Cuts is we expect to do this within 20-30 minutes, focusing on one film at a time without a sub-topic. As we’ve found with our main cast, we will inevitably get caught up in a good conversation and go longer on occasion, but we will do our best to be concise. Eventually we may have a separate page for Short Cuts, but for now we’ll list them over at the Podcast page, one-by-one as we record them. Conveniently, (or maybe inconveniently) we had our first major technical glitch with the House & The Shining episode. I feel the episode still stands on its own, and I really appreciate Keith Silva and the conversation about The Shining. This new series might be a good excuse to have a “do over.” We’re going to try to lure Keith back with beer and other delights, and hopefully we can recapture that lightning. Short Cuts is a way to do that. We will have guests. The constant will be me, Aaron, although occasionally Mark will join when he can. I already have guests lined up for other episodes. Fortunately our cast has had no shortage of people wanting to guest. There will be situations where I’ll have a title lined up and nobody is prepared, and on that occasion I will be prepared to go forward with a solo cast. That will be weird, but I think it is possible. I’m planning to do so for Alambrista!, which may or may not be the first episode. We also are planning on doing Night and the City, A Master Builder, Videodrome, Monterey Pop maybe Godard’s Weekend, and plenty of other titles. For those who follow this blog and see my yearly lists, you may have noticed that I like to prepare for those lists by watching the respective Criterion releases. That will guide some of this project, as will trying to keep caught up on new releases. It also gives us flexibility to do an easy cast without having to do a big main episode. More content is better, right? I am enthused about this new sub-project and I think it will be a worthy supplement to our main cast, which I feel is still improving as we go — provided we can keep the Gremlins away. Usually this would be a day of recording and editing a podcast, but thanks to having a holiday and a little free time on my hands, I have time to talk about some other stuff. It is rare that I post a “miscellaneous” topic, but why not? This is the first part of a series that I’ll post whenever I feel like it, or rather, when I have a good amount of stuff to talk about. This week has been one spent immersed in the world of the British New Wave, or the “Angry Young Men” period, as it is often called. 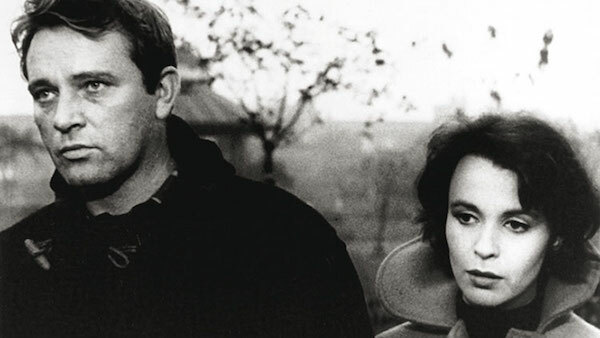 This is for our upcoming Podcast episode about Lindsay Anderson’s If…., which is sort of a postscript for that movement. This is a blind spot for me, as I had not watched or studied many of these films. That’s one great thing about this Criterion project and the Podcast, that I get to learn about interesting cultural movements. More on that once we record and release the podcast. The best news of the week has nothing to do with movies, podcasts, or really anything about what I talk about here. I bought a car. I casually asked someone whether I should mention it on my blog, and they responded that there’s no point in having a blog if you don’t talk about a “sweet ride” like the one I just bought. 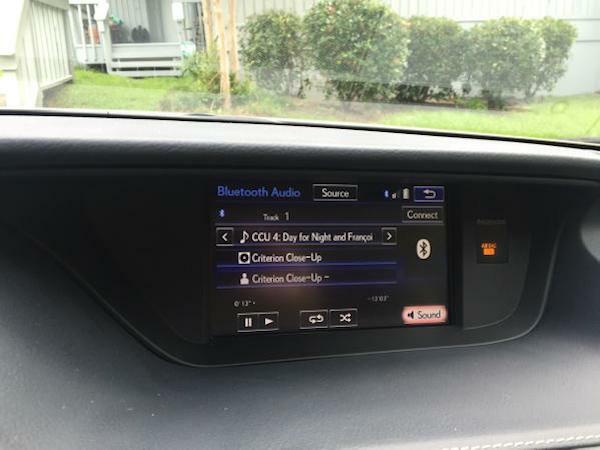 It is a Lexus ES300h. Yes, it is a Lexus and a hybrid. This is something I never would have expected to own. Even two weeks ago, I never would have imagined being a Lexus owner. It is a long story of how I got here, but basically I had some unforeseen mechanical problems with the car I owned, which are still not fully identified and corrected. 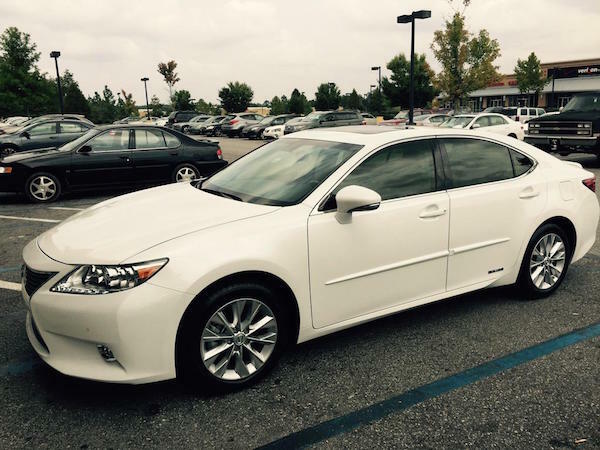 The Lexus dealership was glad to take some of that risk, give me a reasonable offer on the car, and give me an opportunity to upgrade it. So I took the plunge. Those who have followed me here and on Twitter know that I buy a lot of physical media. My wife playfully calls them “rocks,” based on Hank’s deliveries on Breaking Bad. Along with the Criterion Collection, I buy a lot of other labels and Region B titles. 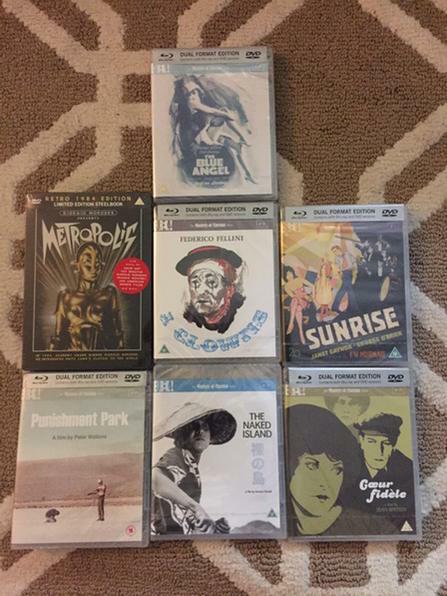 Here is my latest delivery from the Masters of Cinema sale, but there have been many more that I haven’t blogged or tweeted about. One day I’ll share the entire collection. With the new car, the “rocks” will have to slow down. I’ve canceled a number of pre-orders, but I’ll still keep an eye out for sales and indulge when the price is right. And I will always buy the Criterions. Those are a priority. 11/21: Essays and box sets. It could change. Soon enough we’ll have specific categories and will notify participants on when we will recap their sections. Thanks again for all of your enthusiasm and excitement. For the upcoming week I have a busy writing queue. I’m planning to write a piece on Yi Yi for Wonders in the Dark. 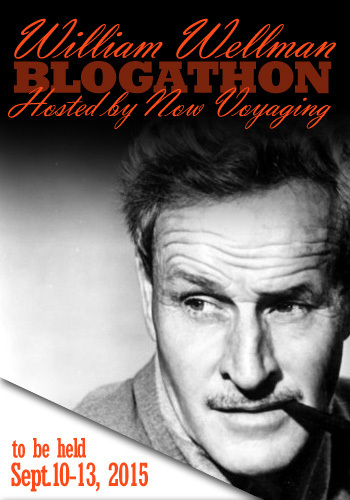 I’m also going to write about William Wellman’s A Star is Born for Now Voyaging’s first blogathon. In addition, I have a post on My Beautiful Laundrette in the works for right here. So it’ll be a busy week in the blogging and podcasting world, but this is my passion and I’ll enjoy it. 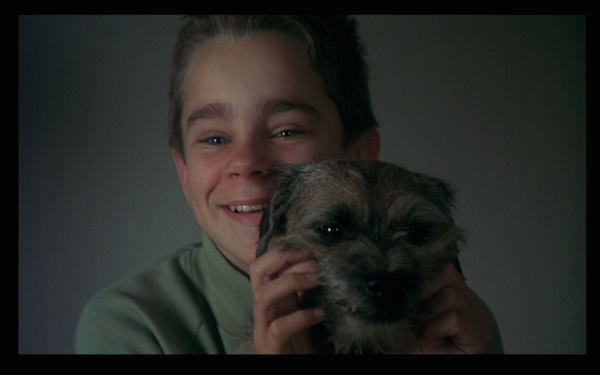 This morning I posted a review about Lasse Hallström’s My Life as a Dog over at Wonders in the Dark. Some may remember that I podcasted it with Martin Kessler a couple weeks back, and my review basically touched on the analysis that we talked through. I was pleased with the piece, and went out of my way to avoid major plot developments. I did speak generally as to the problems that Ingemar faced and how he handled them. I let it go and figured I would get a good response. Instead I got trolled. I’ve been trolled before. That’s unavoidable in the modern day of anonymous commenting. Even this site has been trolled. Actually a good friend of mine was trolled just recently and I defended him. Trolling is something that has to be accepted, and I agree with the wise advice that trolls should not be fed. In a moment of weakness, I fed this troll. I defended myself, and that prompted the troll to continue. The subject was not about the quality of the review. This person actually complimented that. The problem was with spoilers. In speaking of the film, I revealed a couple of minor developments although I did not reveal the major, traumatic plot points. I’ve written about a lot of films and have learned ways to navigate around them, in the hopes that if someone has not seen the film, they won’t be spoiled. On the other hand, those who have seen the film know where I’m getting at. Some people are spoiler sensitive, and so I developed a Spoiler policy a long time ago, which you can see on the About page. When talking about a newer film, I’ll be careful to warn people of spoilers. If I don’t have to spoil a film, i won’t. Sometimes the ending is required to delve deep into an important film, and what I’ve done here is separate it with a warning and an image. People can keep reading at their own risk. This person pointed out what I spoiled. One specific was how I defined a major character. What I said is something that is revealed within minutes of this character’s introduction. The other had to do with him parting company with someone, which happens very early in the film. Now some of these plot points do come back into play later in the film. I stand by the fact that I did not spoil the film, and Martin and I were careful in our discussion to do the same. @awest505 @MoviesSilently Ok guys, there is now coffee on my computer screen! Media has a 6 mo spoiler expiry date & Dumbledore dies pg 596! @awest505 I notice also that they do not link to this mythical land of TV Guide-worthy reviews. It is easy to have fun with the subject. The troll probably has taken offense, and has back-tracked in the thread, but I will concede that spoilers are something to steer clear of. If I’m watching something that’s obscure and people probably haven’t seen before, then I’m not going to ruin it for them, but instead use my words to tantalize them. On the other hand, modern, professional film writing requires that you talk about all aspects of a film. I know that, and that is why I avoid reviews for films I have not seen. There’s also the point that people can be too spoiler sensitive. I understand and appreciate that people like to go into a film clean, and I am one of those people with new films. If something is spoiled, I don’t make a fuss about it. I’ve had major films spoiled in film studies classes. It would be unbecoming to raise my hand and troll my teacher. Life is short. Movies are fun. Don’t worry about little things. A) Do not feed trolls. B) The internet is funny. C) Probably should be careful with spoilers. D) There is a hidden oasis of TV-Guide reviews hiding in some dark corner of the internet. As you may have noticed in the last post, we launched our podcast this week. I’ll be honest that our first test run for The Rose could have gone better. Mark and I had a good rapport and had a lively, analytical discussion. We had some audio problems. My opinion is that they don’t affect the show, but they required a lot of editing and probably still a little more. We have decided for now not to release that episode, although we might reconsider in the future. It might make for a good bonus episode. When we put our recording hats on this past Sunday, we had learned some from our mistakes with The Rose. Speaking for myself, I was a little nervous, and that probably showed in the early going. After a few minutes I got into it, and I think that on my next go around, I’ll get more comfortable. I thought our discussion about Broadcast News and the media went well. Of course when I listened back while editing, I heard all my stumbles, stutters and audible pauses. From what I understand, we always hear those. We are our worst critics. The audio sounded good and we sent it out to the world. When I listened again, despite those early jitters, I felt better about it. Overall I think it was a solid debut. The question was how would other people respond. So far we’ve had a number of comments, and they range from light to enthusiastic praise. That was extremely pleasing. Some of the best comments came from today’s First Time Watchers cast. Mark does a monthly stint there doing a Criterion 101 segment. They spent their first segment talking about our show. Tim was very kind. He said that it usually takes 40 shows to find your “voice,” but that we were way ahead of the ballgame the first time out. Some of that can be attributed to Mark’s experience. I’ll take some of the credit as a fast learner at editing and using clips. For anyone reading, I cannot recommend First Time Watchers enough. They are fun, energetic, and have a unique slant on a film podcast. Who knows? One day I might make an appearance. There were some criticisms, and I actually cherished those over most. They mostly came from other podcasters, but many of them said the same thing. One was that it was clear that I was nervous at first. Guilty. I probably won’t be next time. The other was that the theme music was annoying and went on too long. That’s my fault. I should have mentioned that we are going to use the theme of the film we’re covering for every episode. We will shorten it some, but we feel that it gives the episode a unique flavor. For example, when we do Mulholland Drive, we might start with the “Silencio” sequence. The score is amazing and we might let that go longer than usual. Why? Because it’s cool. For next week’s cast, My Life is a Dog, we’ll just give a little taste because the music is a bit of a downer. We also have a special guest for the next episode. I’ll leave that as a surprise. Another surprise was that people listened. That says something given that it took a few days for us to get on iTunes. We are there now. Please subscribe and if you like the show, leave us a review. I know some stats from other shows, and while I’m not going to reveal ours in this blog post, our number pleasantly surprised me. As we go on, we should grow, so this is a good foundation to build on. We have some good stuff coming out soon. As I mentioned, this week we will cover My Life as a Dog with a special guest. 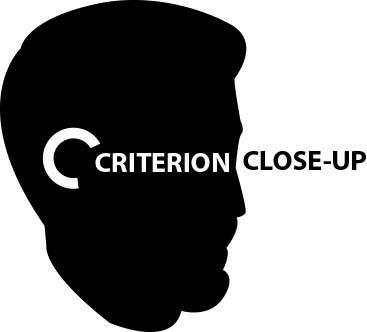 The week after will be our first Criterion Close-Up and we promise a Criterion geek-fest. We’ll cover the new releases some, and then we’re going deep into the label. I’ll save the details for when it comes out. After that is Day for Night. Also on the schedule is Hiroshima Mon Amour, Moonrise Kingdom, House, The Brood, 12 Angry Men, The Music Room and a few others that we haven’t scheduled or ready to mention yet. I should also mention that we have a big announcement next week. Watch this space. So yeah, it has been an exciting week. Thank you for everyone that has supported us so far. We’re in for a thrill ride and we’re glad to have you on board. P.S. I got these. 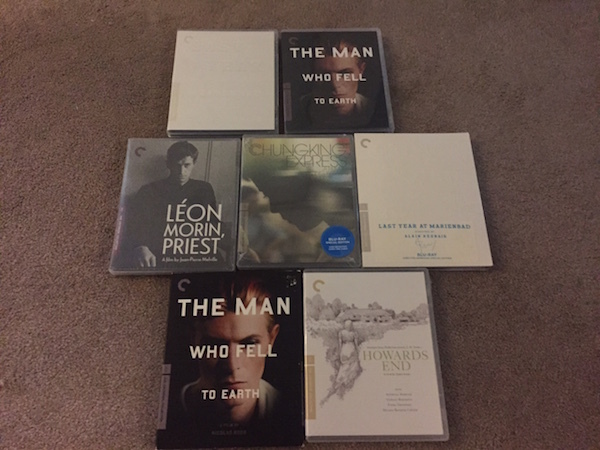 Did I mention I like Criterions?